Get Your SPED Sub Plans Now! 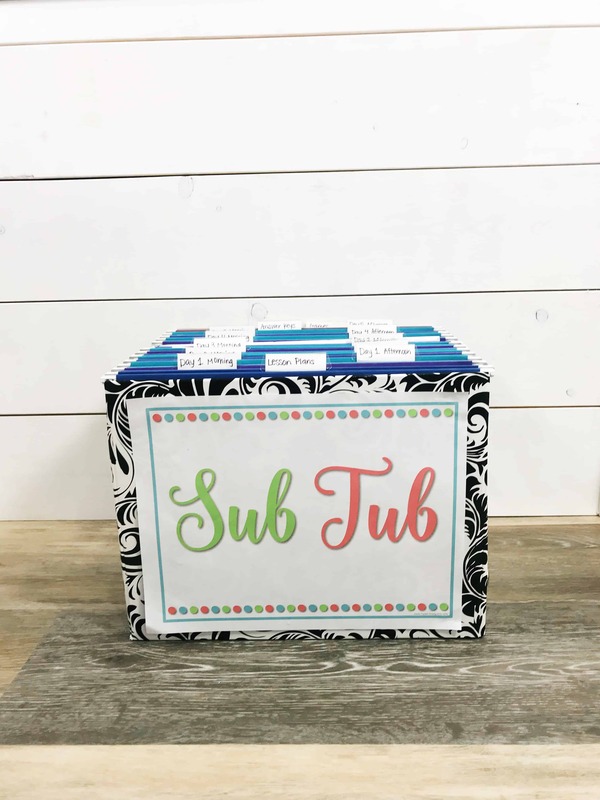 A Special Sub Plan Bundle for K-5 Special Education! 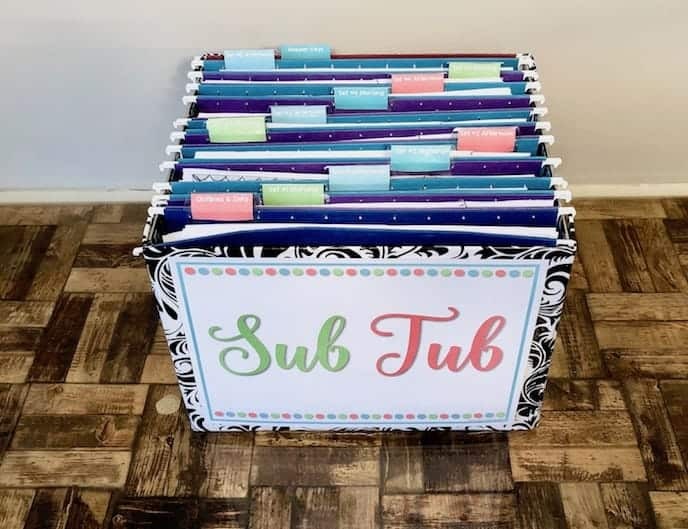 As my Ready To Go Sub Plans became more popular, I kept getting requests for a bundle just for special education. I listened to the input of special education teachers to compile this special bundle… JUST for you! 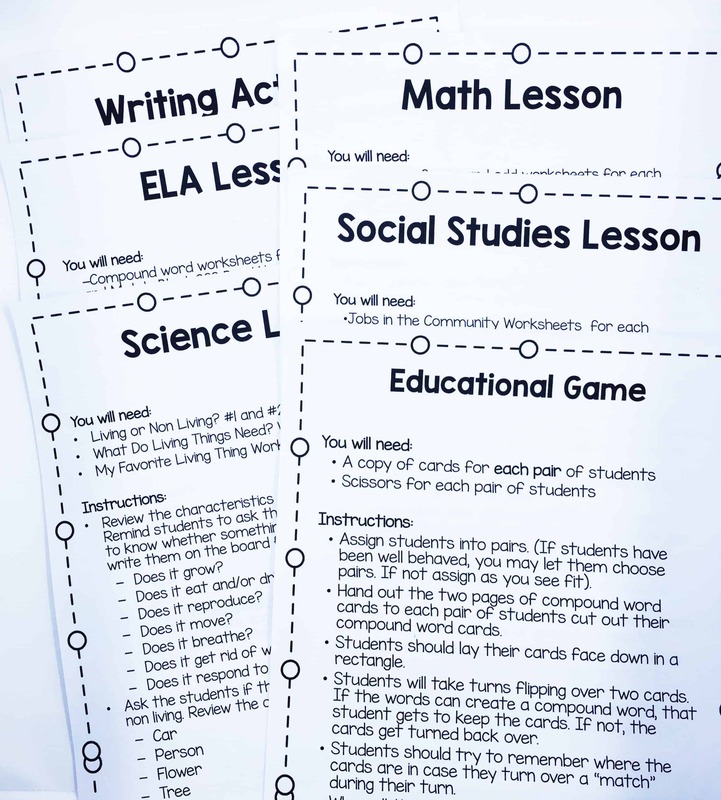 This resource includes lessons compiled from the original Ready To Go Sub Plans, plus some new additions just for SPED teachers! It is ideal for most special education teachers- both inclusive special education classrooms and resource teachers who pull students out of classrooms. This product saved me last school year when I had to call out last minute. 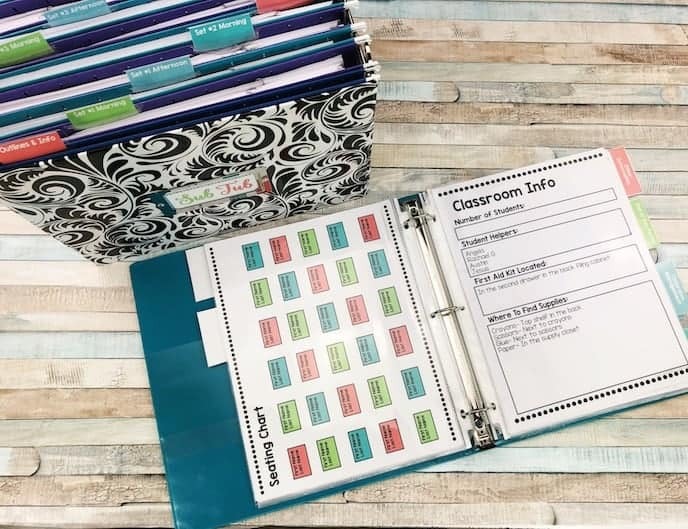 I didn’t have to worry at all, I just told a fellow teacher where the binder was and the substitute was all set! Love that it is differentiated for every grade level and easy to put together for a substitute. This is an incredible resource. Exactly what I was looking for and needed since my school requires 3 days of emergency plans. As a resource teacher, having so many groups and grade levels I wasn’t sure if I’d find something I could use. I’m glad I did. How is the SPED Sub Plan Bundle Laid Out? ​This is a very large and extensive resource. Because of this, I created a separate PDF file for each section and zipped them together in the folder. This makes it super easy to find exactly what you need. Each is numbered and follows the “start here” contents file so you know exactly where to find everything! Step By Step Outline: This outline tells you exactly how to get started and where to find everything. Reading Comprehension Lessons: Three reading comprehension lessons are included. The topics are summarizing, main idea, and making connections. 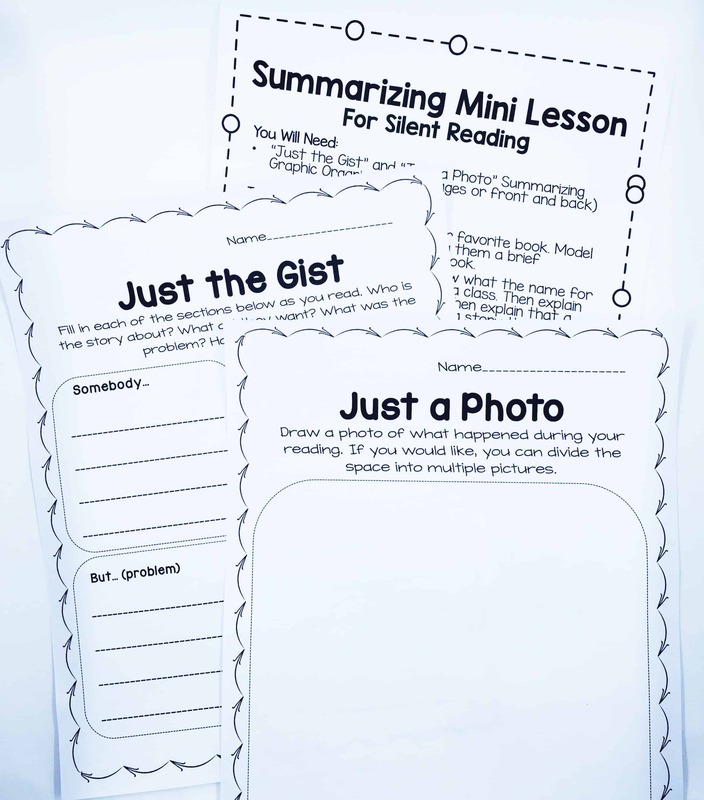 Worksheets at at a variety of levels are included for each lesson. This makes these lessons applicable to both small groups and large groups at different levels! Writing Lessons: 3 writing lessons are included that are applicable to a variety of ages- and includes worksheets that can be used in both small groups and whole group! 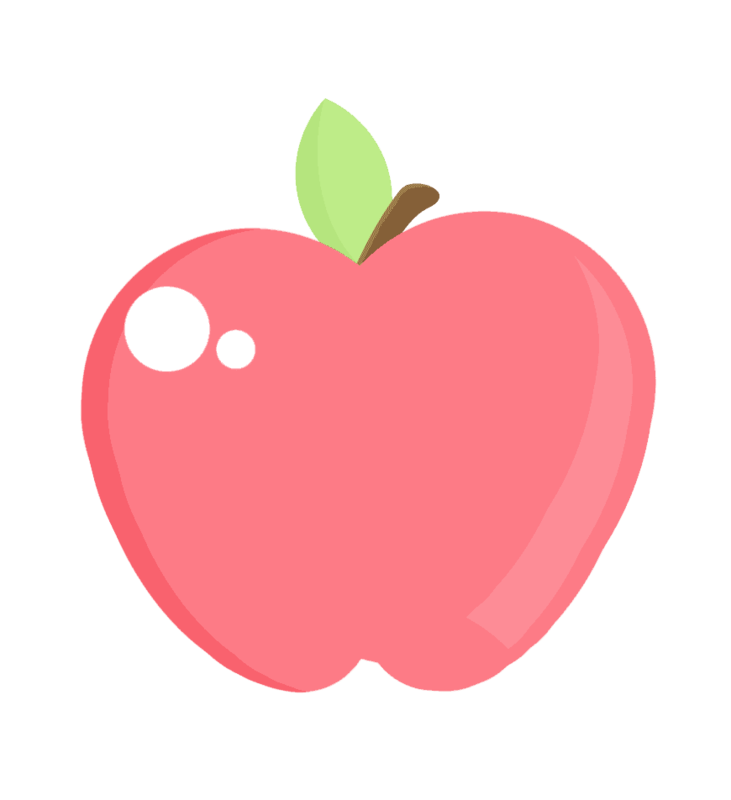 Topics include a name poem, narrative writing, and friendly letter writing. A bonus A, B, C, letter writing lesson is included for students who are still working on their letters! Leveled Sight Word Game: This leveled sight words board game includes a board for Pre K- 5th grade sight word levels. All students need is a manipulative of some sort for a game piece! Lower Grade Math Lessons: Four math lessons for lower grades are included: counting, addition, subtraction, and place value. 3 of the lessons also include games & hands on activities! Upper Grade Math Lessons: Four math lessons for upper grades are included: rounding, symmetry, word problem solving, and fraction ordering and equivalence! A bonus multiplication war game is also included. Science & Social Studies Lessons: A social studies lesson about respecting differences and a science lesson about the weather are both included. These are applicable to a variety of ages! Answer Keys for All Pages! The truth of the matter is, you work so hard to serve everyone else every day. But you need to take care of yourself, too. Whether that means you need to take a stress free sick day, a mental health day, or a vacation, having Ready To Go Sub Plans in your Special Education classroom can help you achieve the work/life balance you strive for. 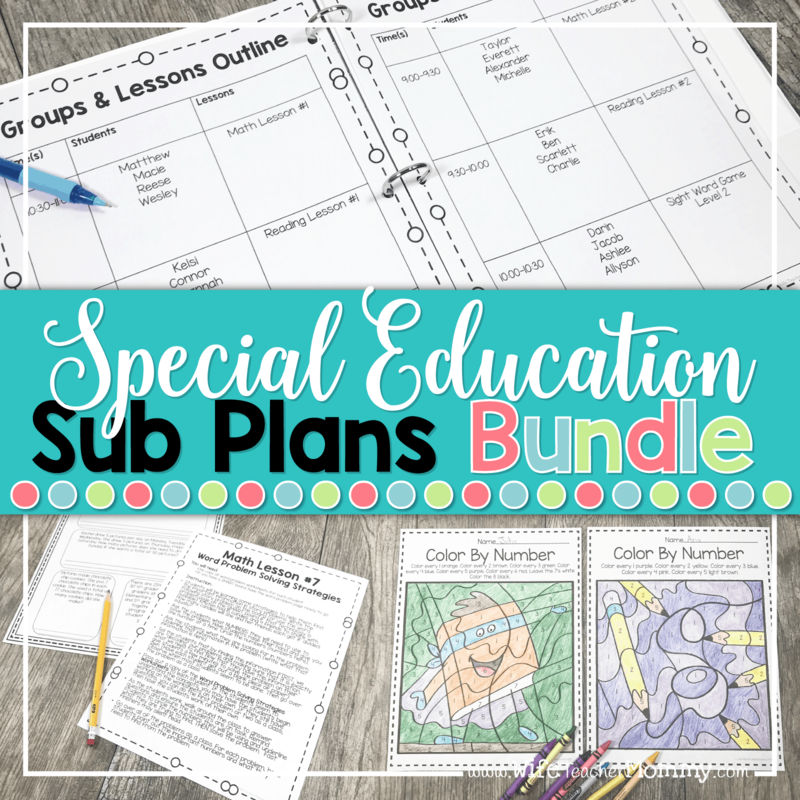 GRAB YOUR special education SUB PLAN DEAL NOW BEFORE IT DISAPPEARS FOREVER!